Hasui Kawase (May 18, 1883 – November 7, 1957) was a prominent Japanese painter of the late 19th and early 20th centuries, and one of the chief printmakers in the shin-hanga ("new prints") movement. Kawase worked almost exclusively on landscape and townscape prints based on sketches he made in Tokyo and during travels around Japan. 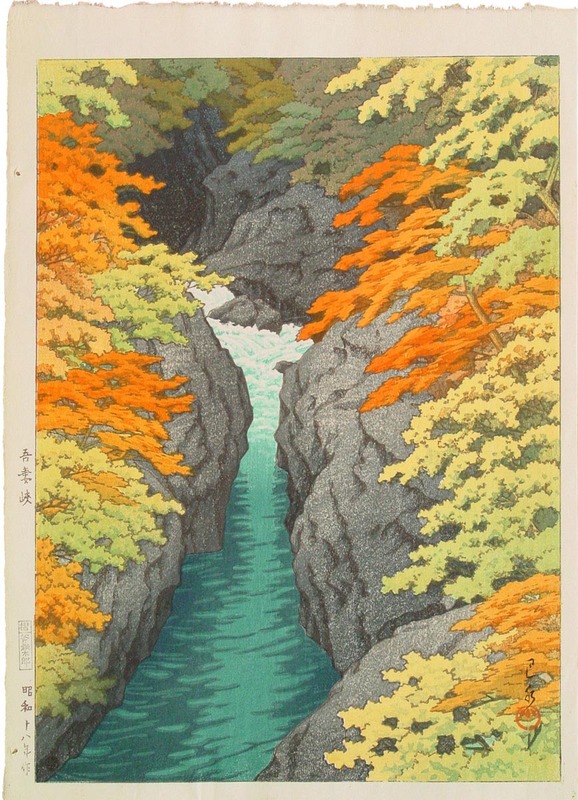 However, his prints are not merely meishō (famous places) prints that are typical of earlier ukiyo-e masters such as Hiroshige and Katsushika Hokusai (1760-1849). Kawase's prints feature locales that are tranquil and obscure in urbanizing Japan. In 1923 there was a great earthquake in Japan that destroyed most of his artwork.